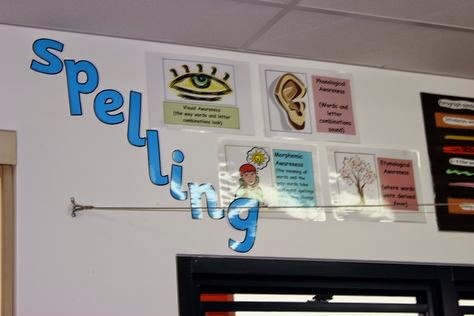 Welcome to another week, and another installment of Peek of the Week! 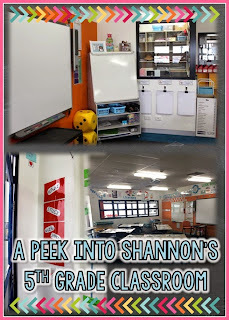 This week, we are visiting Shannon's 5th grade classroom in AUSTRALIA! Shannon has taught in Victoria, Australia for 13 years. 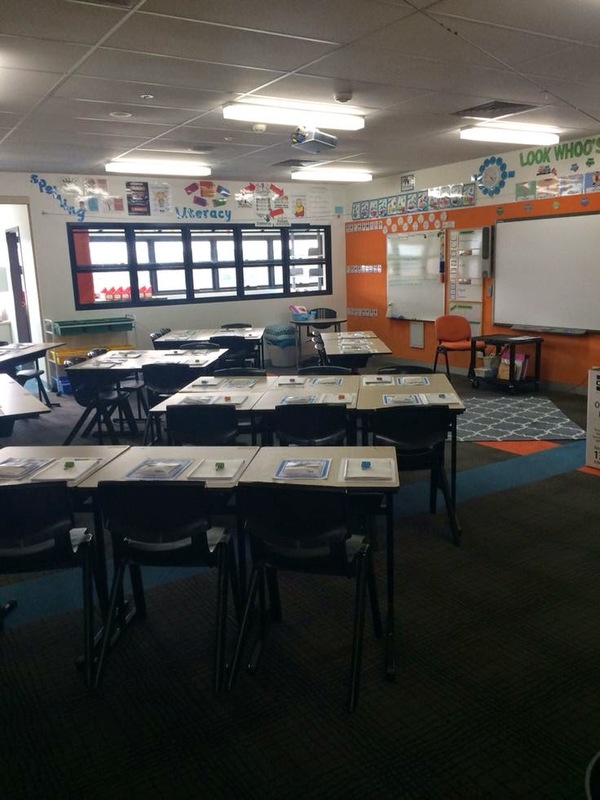 She is currently a student data coach and year 5 teacher. 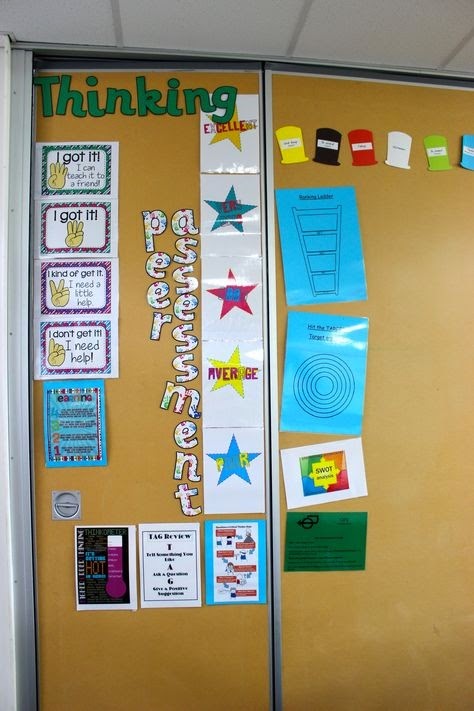 She teaches in a 1:1 iPad classroom and adheres to a workshop model. Enjoy your peek into her world! 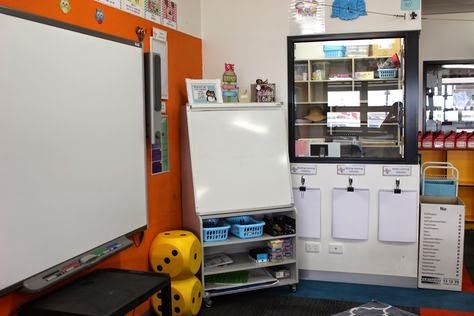 Here is Shannon's teaching space. 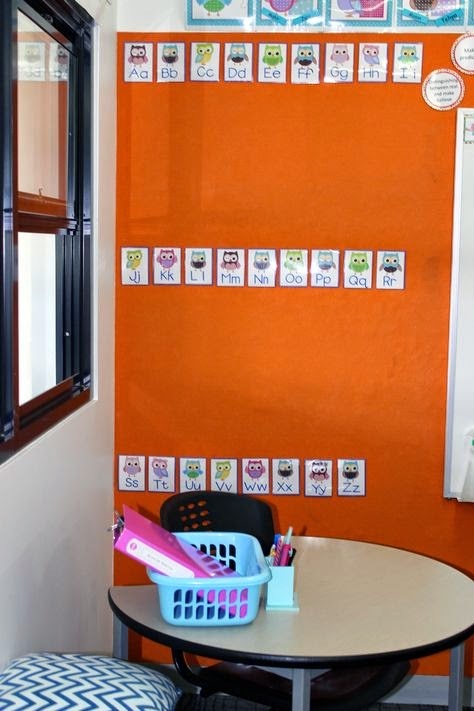 I love those big dice and the orange wall. 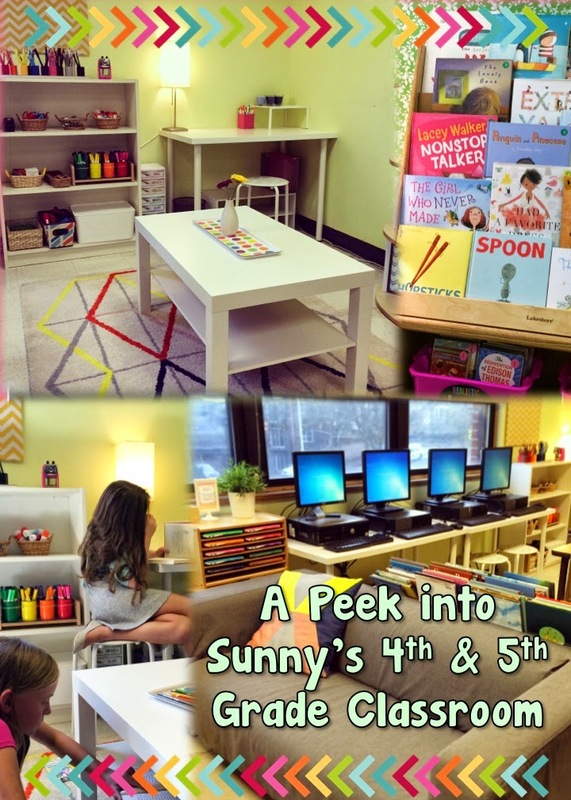 It adds such a fun little flair to the space that I'm sure kids would love! 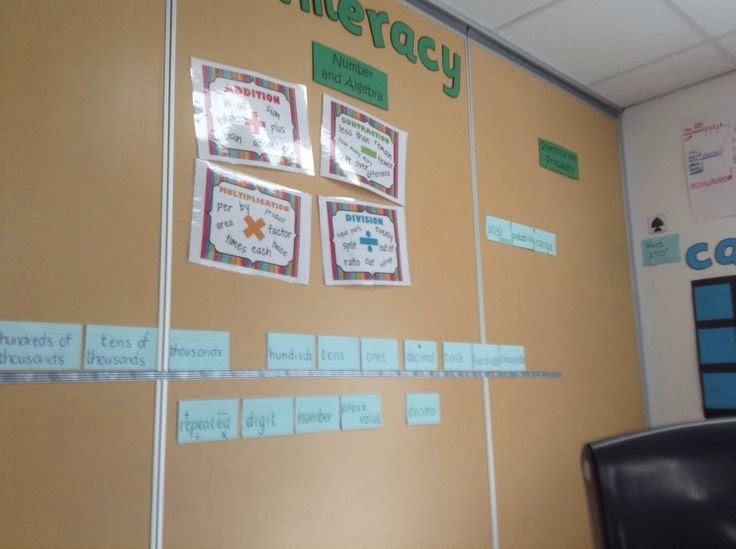 Here is Shannon's word wall at the beginning of the year! 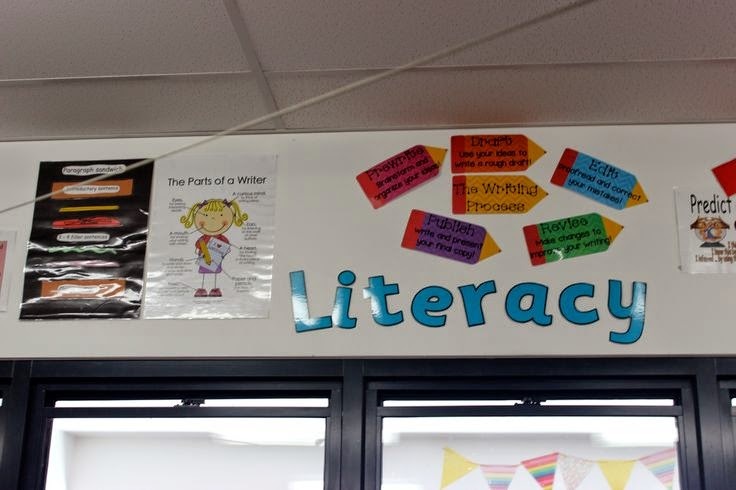 I am a huge proponent of some sort of word wall, no matter what grade you teach. 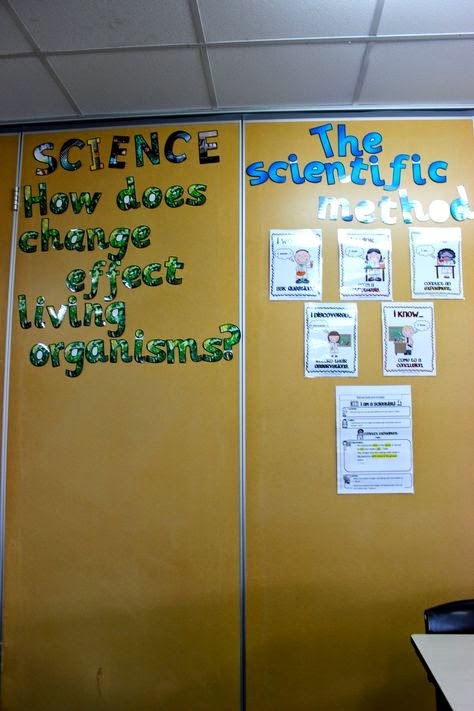 Here is another view of her bulletin board and teaching area. 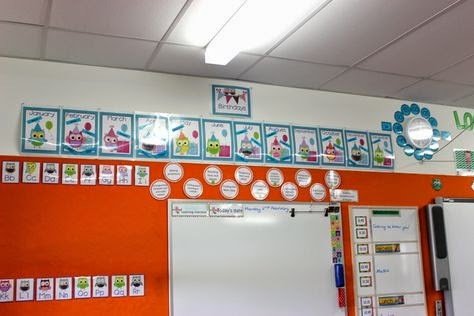 On top are CARS Teaching Strategies and above the board is her birthday display. 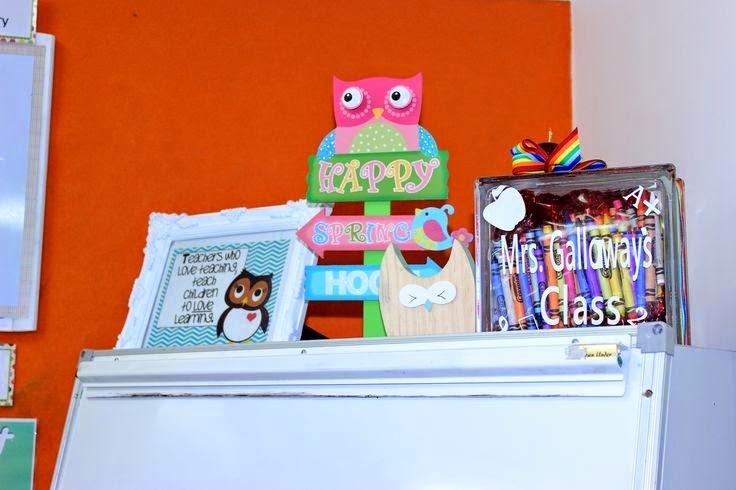 I love the colorful owl theme in her room! 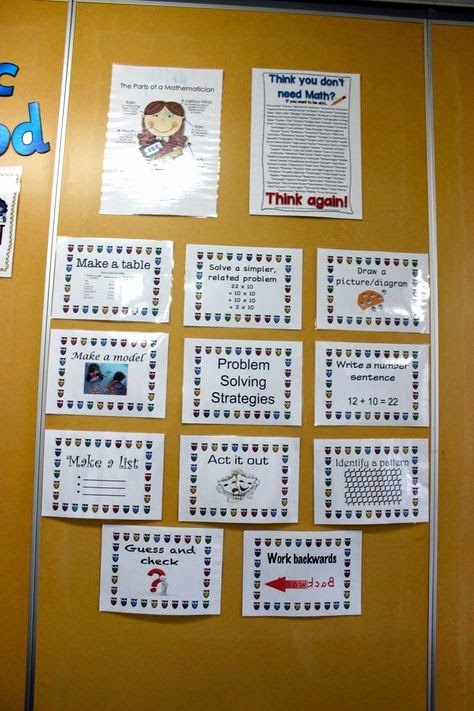 What a great reminder of math problem solving strategies she has posted here! I love the "act it out" option for students. 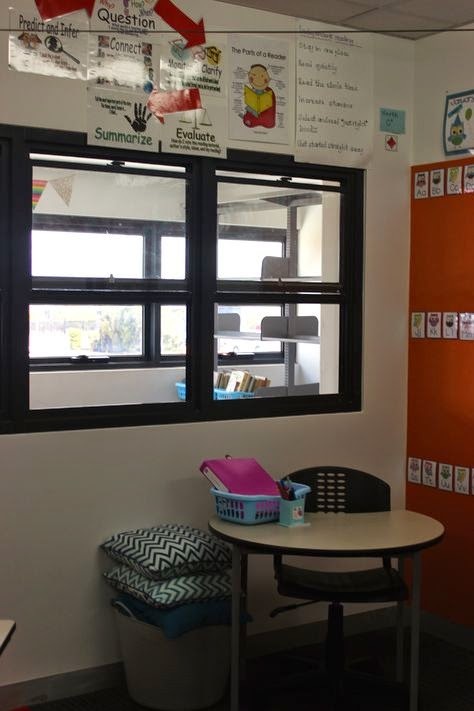 Here is Shannon's small group reading teaching area. I can't help but notice all the windows in her room. So refreshing! 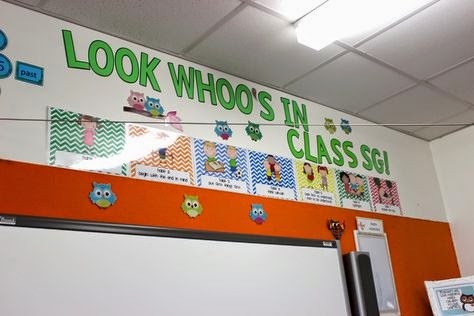 This might be one of my favorite parts of Shannon's classroom! 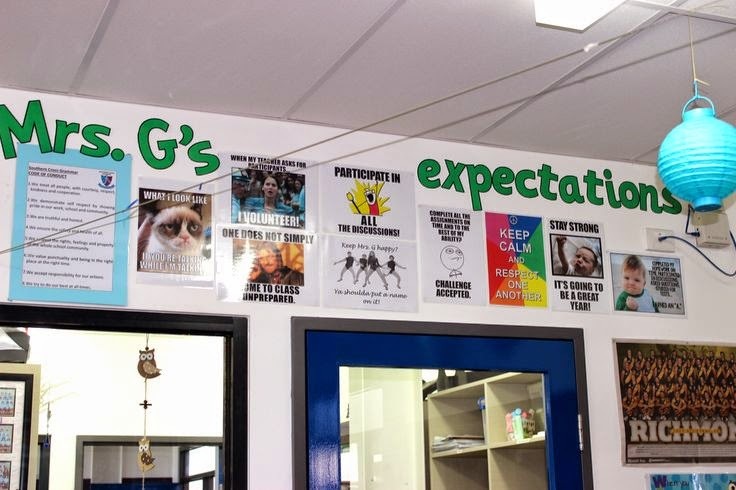 She has her classroom expectations posted using memes. So clever! 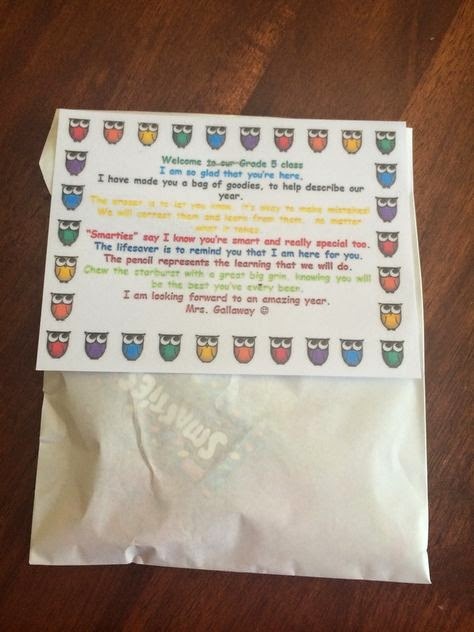 Here are her student welcome bags. Boy, would I have loved to receive one of these from my elementary school teachers! 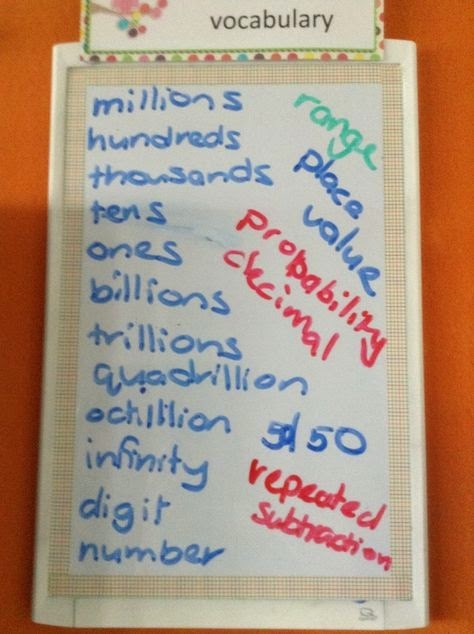 Look at this neat place value line. 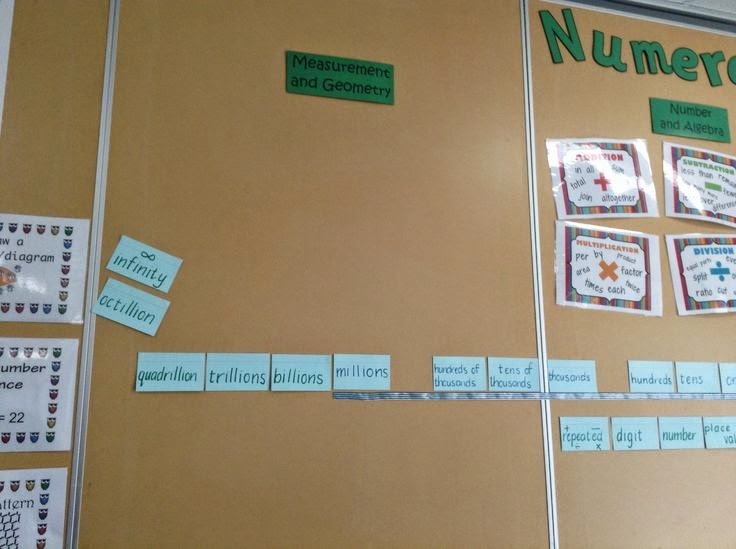 It's so very visual for students! 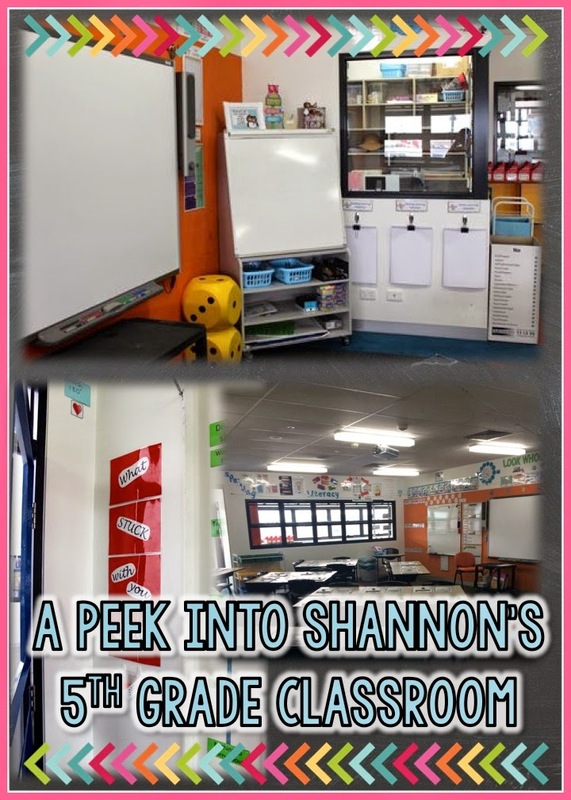 What a beautiful classroom Shannon has! Shannon also wears another hat, in addition to teaching 5th grade. 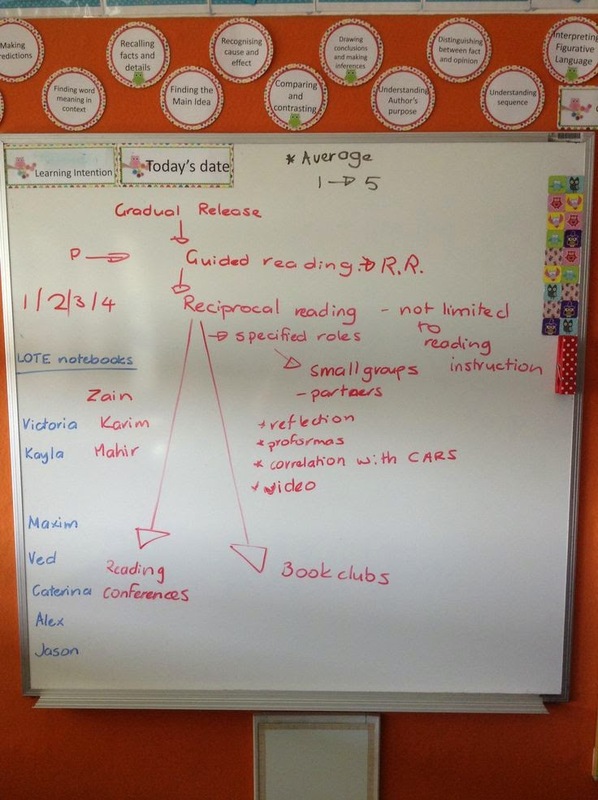 She is the student data coach, so she sent me this picture of their Gradual Release of Responsibility Model. 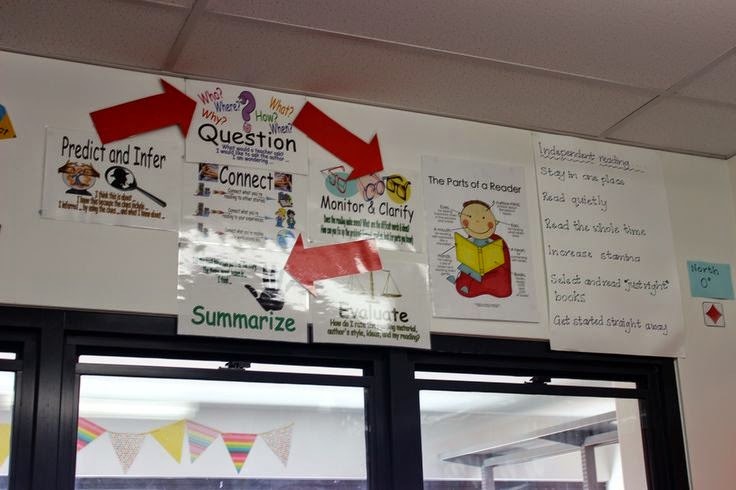 They use this model to identify modes of gaining anecdotal information about student's reading. This is the beginning of her student library (when she sent me these pictures, they were just getting ready to start the school year). She didn't say much about the carpark, but I'm wondering if it's similar to the US version of a question parking lot. 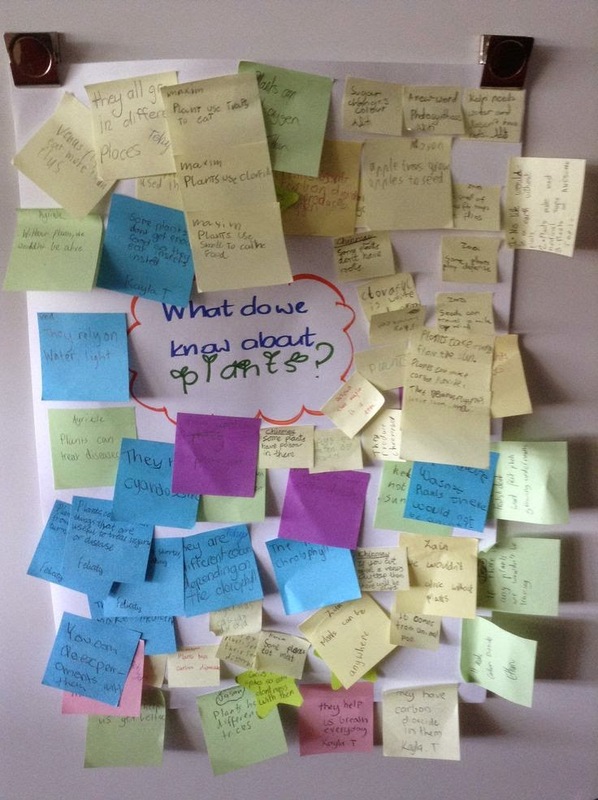 The parking lot is a great place for students to write questions they want answered (when it isn't appropriate to ask it in the middle of class). 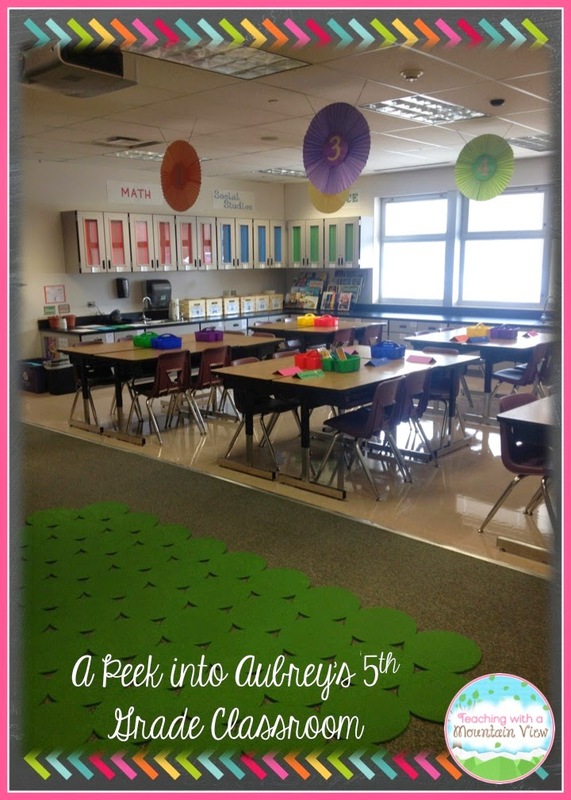 Want to Peek inside more classrooms? 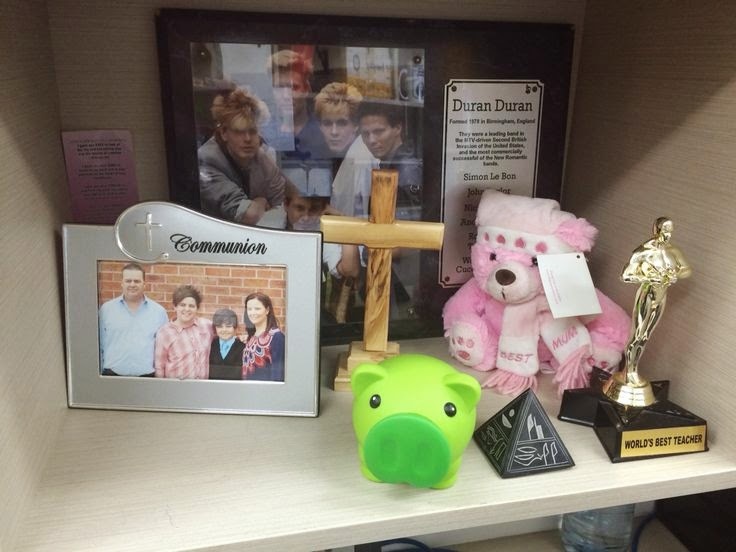 Stop by these other installments of Peek of the Week! 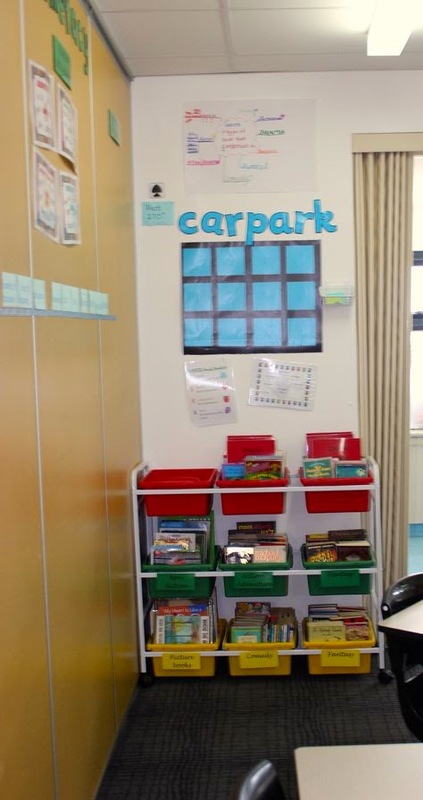 Hi, I am really enjoying your Peek of the Week posts, as I think about setting up my new space for the coming year (a lot of work has been done over the summer holidays, and I can't wait to get in there!). 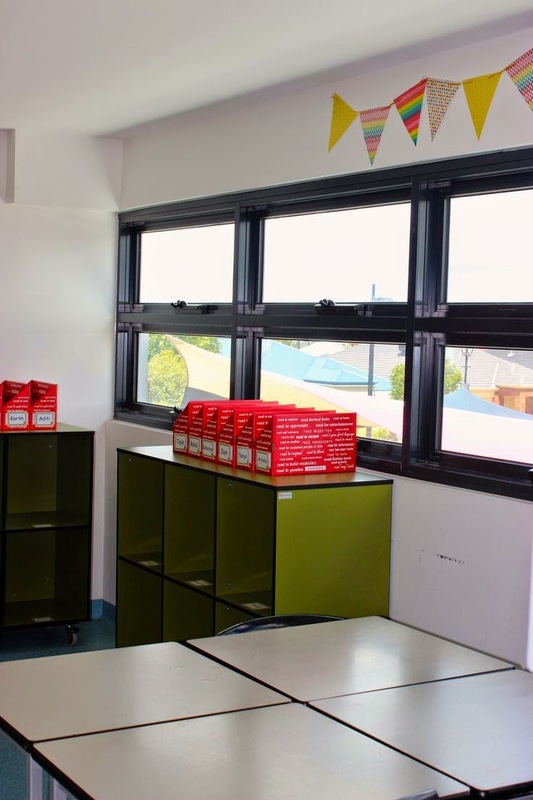 So...how does one get chosen to have one's classroom included? ;-) It might give me some extra motivation! LOL.